First things first, you do not need to be an AARP member to get the Chase AARP credit card. Now that we got that out of the way we can take a look at what the card has to offer. In this Chase AARP credit card review the card’s welcome bonus, earning structure, fees, and our overall recommendation will be covered. The offer is often raised to $200 after $500 in spend. You should probably wait until one of those offers comes around to apply. 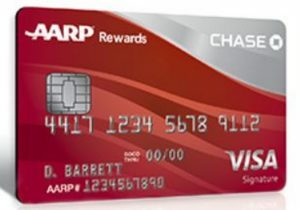 The Chase AARP card does not fall under Chase’s 5/24 rule. Well at least it doesn’t yet. The card also comes with Chase’s standard 24 month bonus restriction language. This product is not available to either current cardmembers of this credit card, or previous cardmembers of this credit card who received a new cardmember bonus for this credit card within the last 24 months. You must have a minimum of 2,000 points ($20) to make a redemption. Chase has had some good spending offers for this card in the past too. The Chase AARP credit card does not come with many perks outside of the standard protection that most credit cards offer, but it does fight hunger. For every purchase you make at restaurants with your AARP card Chase will donate $0.10 to fight hunger. They will donate up to $1 Million in 2018. The Chase AARP card does not have an annual fee but it does have a foreign transaction fee of 3%. Since there is no annual fee you get the full value of the welcome bonus which is currently $100 but goes up to $200. The Chase AARP is a solid no annual fee card for anyone who spends a lot of money on gas and dining out. 3% is on the higher end for those two categories for no annual fee cards. Even though the card has a tie to the elderly community, with it being co-branded with AARP, it is probably best suited for the younger demographic. It is a good starter card that comes with a few decent bonus categories and no annual fee. The welcome bonus is very solid when it is at the $200 level but very pedestrian at it’s current $100 offer. The downside to this card is that it is not a stand alone card and would need to be paired with another cash back card. Something that earns 2% cash back on everything, like the Citi Doublecash, would be a better option overall for most. 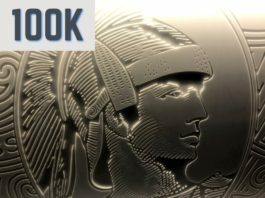 The recently launched Propel card from Wells Fargo offers the same bonus categories and a few more at 3% with no annual fee. Since the card has no annual fee you could hang onto it for a long time. Holding the AARP card would improve your average age of accounts and help your overall credit score. It is not a front of the wallet, all around card though. The AARP credit card needs to be paired with something else to fill in the blanks for grocery and everyday non bonused spend. 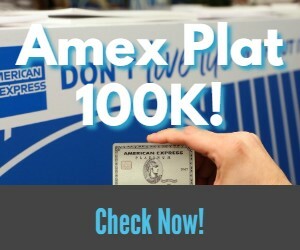 The Chase AARP credit card is an above average no annual fee card. The 3% cash back on restaurants used to be the top dog in the no annual fee realm until the Uber card launched. The Chase AARP card offers a good welcome bonus when increased to $200. That is a 40% return on your first $500 in spend. The 3% categories are two very valuable areas of spend as well. The downside is that the card needs to be paired with another card since it only earns 1% on purchases outside of restaurant and gas spend. That makes this a nice complimentary card but not a card that will a spot in the front of your wallet. The Chase AARP offers two nice bonus categories but is not a card that should be used as everyday card. When the welcome bonus is increased to $200 it has one of the better offers out there for a no annual fee card. Fair and balanced credit card reviews with all of the information you need to know before applying.